At Kansas City SEO, we believe the most important component of your SEO and content marketing strategies is keyword research. You have to know who your ideal clients are, and you have to know what and how they search for information about your products and services. If you don’t bake in accurate keyword research to all of your inbound marketing efforts, you will lose an enormous amount of search engine ranking potential. Many SEO pundits today, some of the biggest names in our industry in fact, say that keyword research is dead or that its becoming a “deprecated” SEO ranking factor. If you don’t know the right keywords, you don’t know where the finish line is. Any content marketing or SEO you do without knowing the right keywords is like running as fast as you can in a random direction. Google Search is based on keyword phrases that people type into a box (or speak into a mic). Words are the building box of human language, and as long as humans use word to communicate, they will always be a huge part of SEO. Sure, Google’s Hummingbird core algorithm re-write may do a better job at assessing user intent, and Google’s RankBrain may use machine-learning artificial intelligence to improve results, but none of those improvements change the importance of keywords or keyword research. Keyword research, in fact, is more important than ever in the context of SEO and inbound marketing. When creating a new website, or a new page for an existing website, it is essential to describe what it features or offers in three to five words. If you wind up creating several dozen three to five word combinations that work equally well to describe the landing page and are not sure which one is the best – you are definitely not alone. 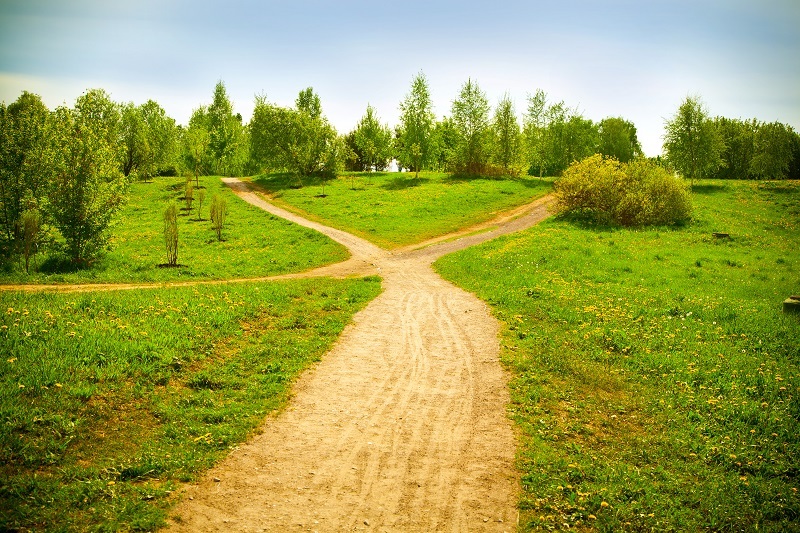 With synonyms such as “how to…” and “how do I…” it can be exceedingly difficult to know what the right option actually is. Also, you have to consider which one is going to resonate best with your target market and achieve the highest SERP (Search Engine Results Page) position, traffic and conversions. Since there are – in many cases – dozens of different ways to say the exact same thing, those optimizing a website turn to keyword research to help them determine how to say something for best possible results based on their audience. This works much better than just blindly guessing. Keyword research does not have to be difficult or time consuming; however, it does have to be done properly in order to be effective. While there are countless tips articles and other bits of information available on this topic, getting back to the basics is the best way to create an effective keyword strategy. Keywords that show commercial value by way of higher suggested bid prices. If people are bidding a keyword up, we can infer that it is converting better to sales. 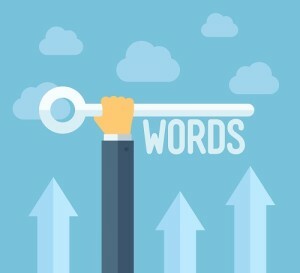 These four steps will guide you through effective keyword research. Prior to doing any research, sit down and think about how someone may search for the product or service you offer. While you can research to compile this list, most SEO experts will pull them directly out of thin air. Remember, don’t set limitations here, anything and everything someone may use to search for what you offer is fair game. When researching keywords you will have to analyze your brainstorm list of phrases to determine which ones contain the right mix of relevance, attainability and demand to gain the top SERP results. Helpful Tip: Unless you can read minds, you are going to have to use a keyword tool to mine keyword data. There are a number of tools to consider using, but the information here is ideal for the Google Adwords Keyword Planner. While you can enter the words from the brainstorm list into the keyword tool one at a time, or all at one time, the Keyword Planner will allow you to enter as many as 10,000 keywords. To achieve the best and most accurate results you should enter them in batches of 10 to 12 phrases. Virtually every keyword research tool is going to suggest possible phrases that are similar to your original phrase request. These are referred to as Keyword ideas. Since the top priority of the Keyword Planner from Google is to support the Google ads, the tool is going to provide two groups of organized results: Keyword ideas and Ad group ideas. These lists are invaluable since you are going to receive insight regarding the exact language that your target audience is using to search for the products and services that you offer. This is the information that will allow you to refine your target keyword list. When you begin looking over the suggestions for keywords made, it can be simple to fall for the high volume results and forget that relevance is key. You should not select keywords that are loosely related to the ‘idea’ of the content of the general needs of the target audience. If you find a keyword suggestion that does not relate to the topic on your landing page – DON’T USE IT! You cannot try to fool Google spiders or readers, since this is only going to eventually lead to negative results. Step 1: Create a Google AdWords account. This will require a bit of information and the website will take you step by step through creating your account. When generating keywords for SEO purposes, you will not need to get traffic estimates since this only applies to those creating Ads. This is the tool that is ideal for finding a new source of keywords. The keywords presented from this tool will be based on the ones put in. When you choose the tool, you will see a menu where you will have to enter information about what you are looking for. The last step will be to insert negative keywords. These are words that you don’t want to use. However, this is also a step that will only apply if you are creating AdWords. Once you have all your preferences set, you can use the keyword filter. 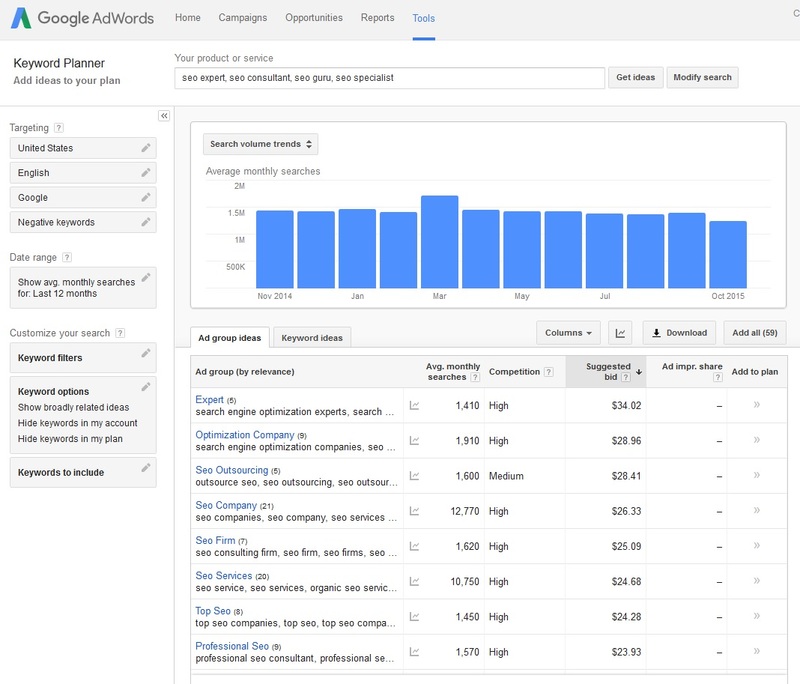 This lets you find keywords based on how many average searches they see per month. Once you have set your keyword preferences, you will be able to begin selecting keywords based on the list provided. If you want to successfully bring new traffic to your website and compete for the top spot in SERPs you have to find and target the proper keywords. Also, you have to create metal titles, body content and descriptions that are keyword rich. Remember – if you optimize based solely on what you think readers are looking for – this is not optimizing. Keyword research tools provide you with precise language that is actively being used by your audience. To learn more about PPC Kansas City or using AdWords to help grow your business, contact us for a consultation.